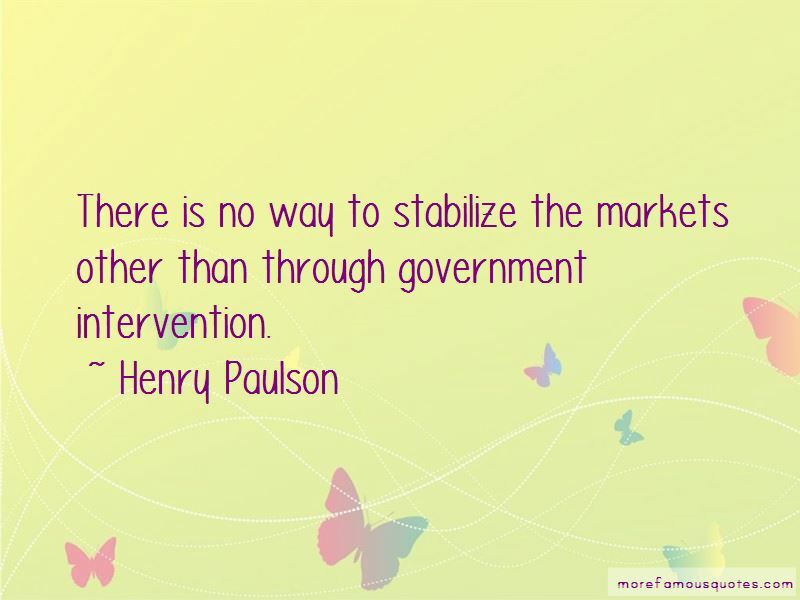 Enjoy the top 68 famous quotes, sayings and quotations by Henry Paulson. I have always tried to live by the philosophy that when there is a big problem that needs fixing, you should run towards it, rather than away from it. An open, competitive, and liberalized financial market can effectively allocate scarce resources in a manner that promotes stability and prosperity far better than governmental intervention. I have relied on prayer for health care all of my life. 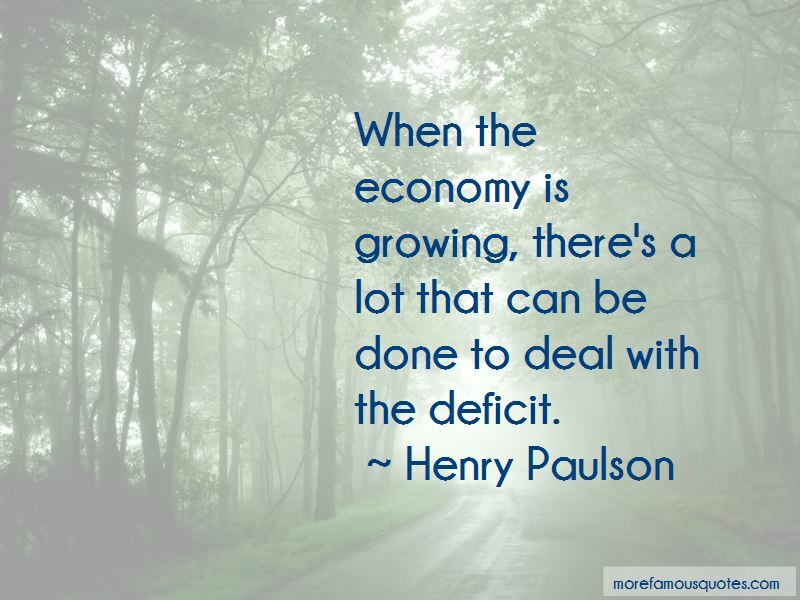 When the economy is growing, there's a lot that can be done to deal with the deficit. My preference is for the Federal Reserve to be the systemic risk regulator, because the responsibility for identifying and limiting potential problems is a natural complement to its role in monetary policy. Well, as you know, we're working through a difficult period in our financial markets right now as we work off some of the past excesses. But the American people can remain confident in the soundness and the resilience of our financial system. 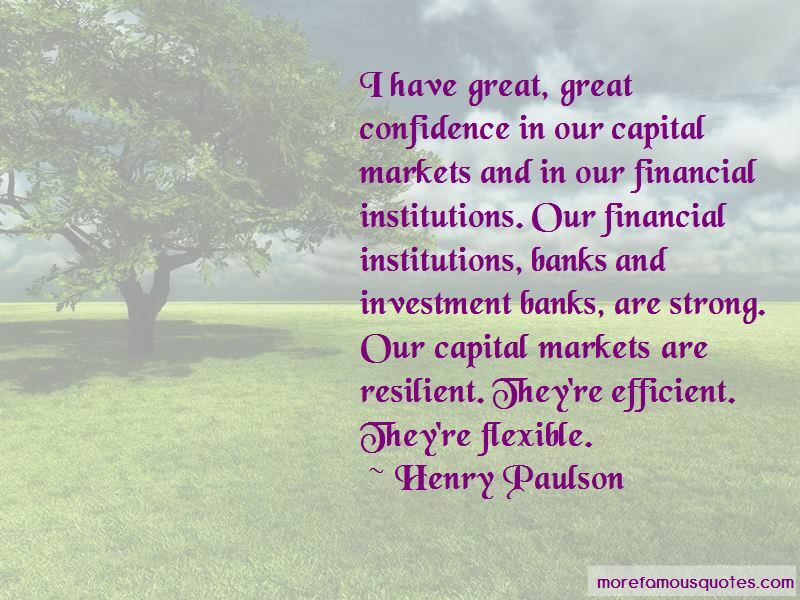 Want to see more pictures of Henry Paulson quotes? 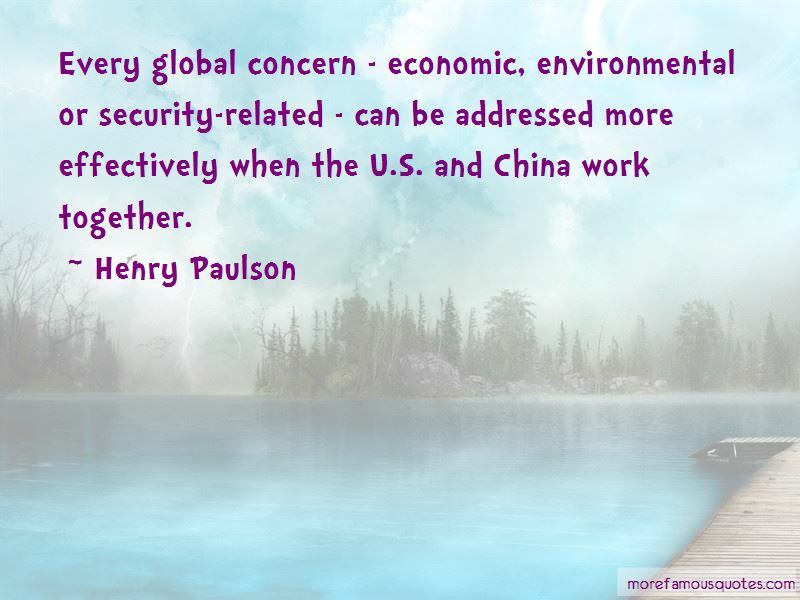 Click on image of Henry Paulson quotes to view full size.